The Mexican grey wolf is a subspecies of the grey wolf. 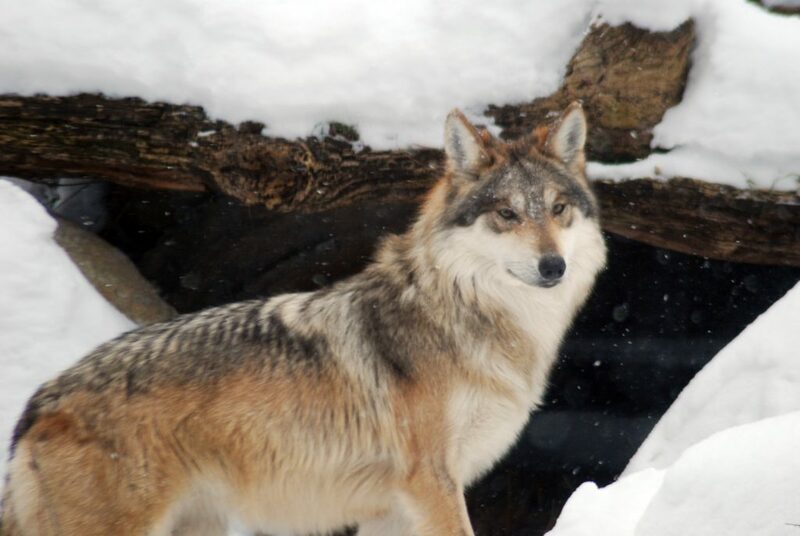 Commonly referred to as “El lobo,” this wolf is grey with light brown fur on its back. Jinx, Kizzie, and Sydney are part of a very important reintroduction program. 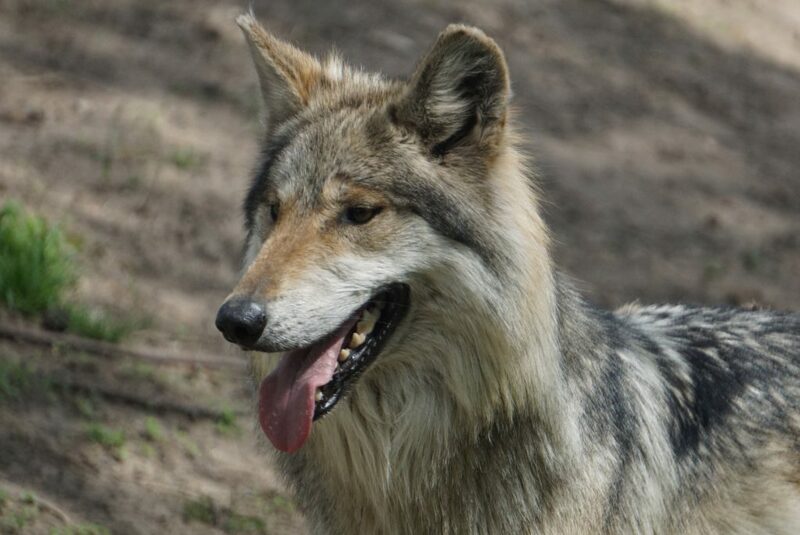 The Saginaw Children’s Zoo works in collaboration with the Mexican grey wolf SSP, AZA and their accredited facilities, the US Fish and Wildlife Service (USFWS), Arizona Game and Fish, New Mexico Department of Game and Fish, and SEMARNAT (Secretaría de Medio Ambiente y Recursos Naturales) to reintroduce Mexican grey wolves to their original wild range. Grey wolves, including the Mexican sub-species, have experienced dramatic population decline from their original global range. Originally the most widely-ranged mammal, the wolf has been globally persecuted due to misplaced fear by people. Mexican grey wolves were almost eliminated from their historic range until protection efforts kicked in. The last remaining wild Mexican grey wolves, just five individuals, were collected to create the breeding program and save their species. Two additional animals were already living in human care, and were added to the program. This breeding program has grown to span many AZA-accredited facilities and involves many conservation organizations. Thanks to captive breeding and reintroduction, there are now over 100 Mexican grey wolves in the wild.